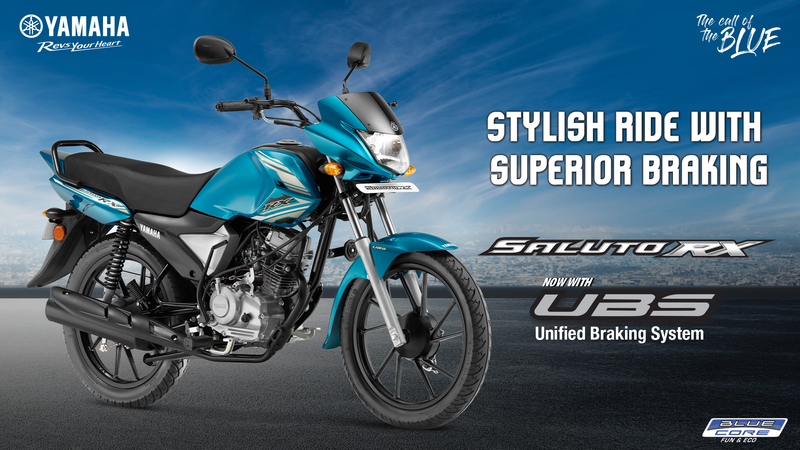 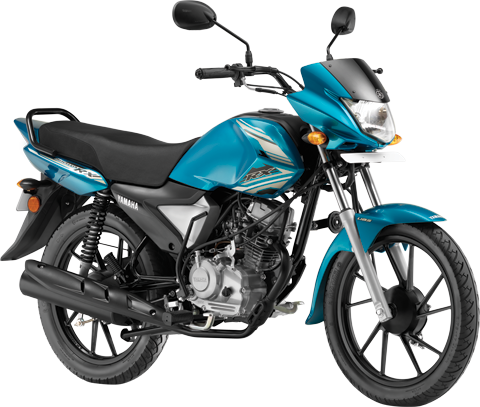 The new Saluto RX with Unified Braking System (UBS) mounts a newly developed air-cooled, 4-stroke, SOHC, 110cc, 2-valve single-cylinder engine based on the Blue Core Engine Development concept and lightest weight in its class at 99 kg. 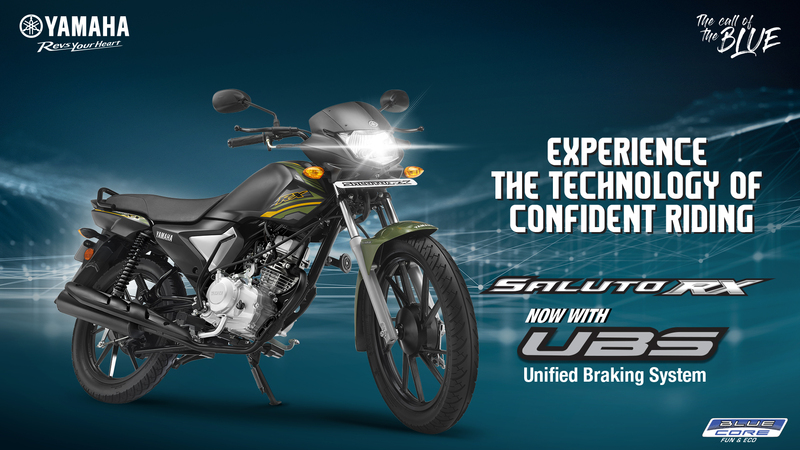 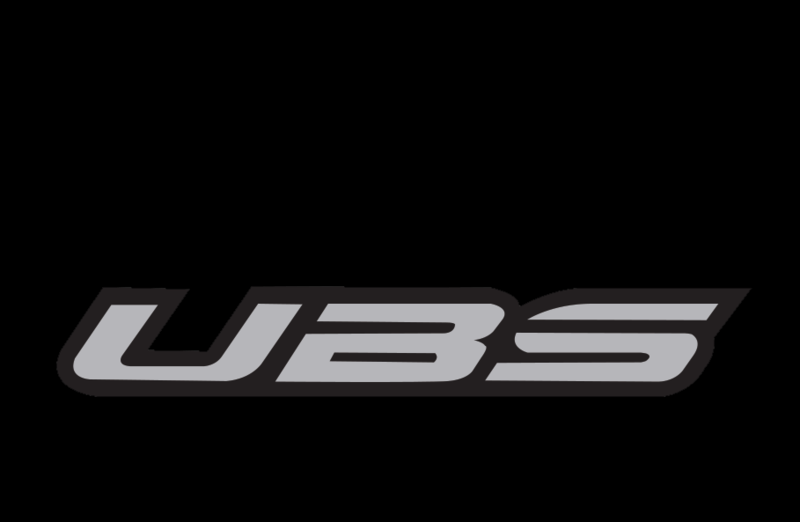 With Unified braking system (UBS), style and cool quotient of the Saluto RX sets a new benchmark with its fluent bodylines, aggressive light design and a modern yet simple analog speedometer. 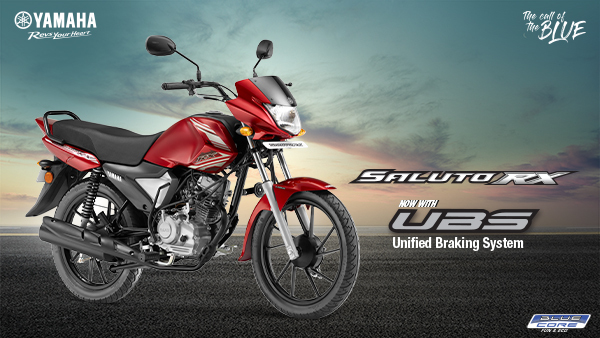 The new Saluto RX also flaunts its plastic resin fuel tank cover that protects it while adding a dash of style to the entire look. The engine, frame and wheels with comprehensive weight-reducing designs contribute to the model's overall fuel efficiency. 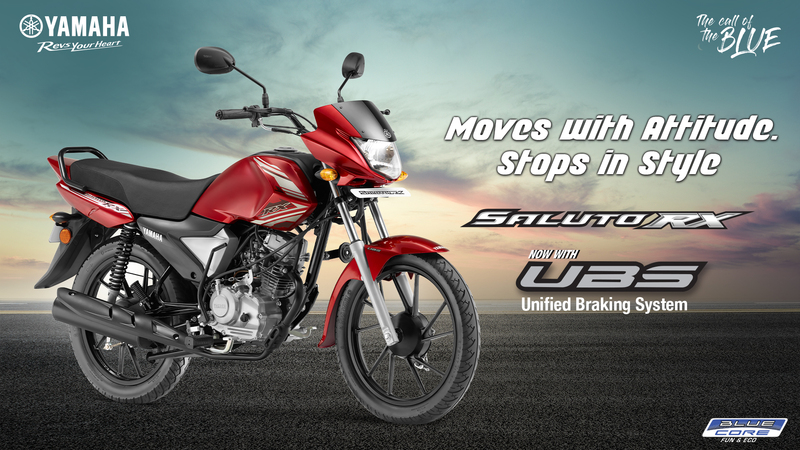 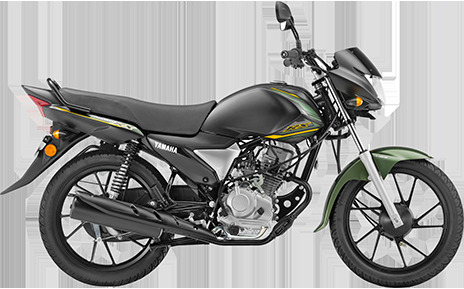 The Saluto RX's curb weight of 99 kg makes it much easier to park the bike, push-walk it, maneuver it on sloped roads, put it in storage, etc. 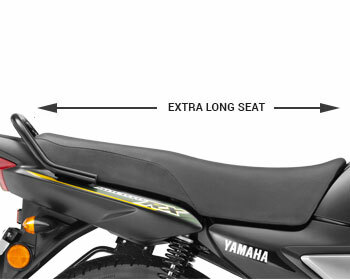 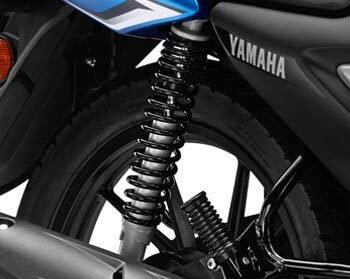 The optimized positioning of the center of gravity contributes to making this bike feel lighter. 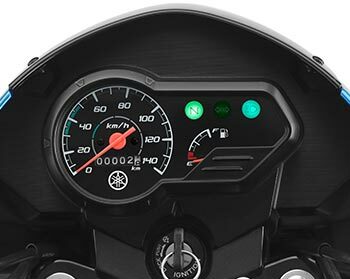 The instrument cluster adopts a simple, easy-to-read analog speedometer.The dial type speedometer adds sportiness to the instrument cluster. The bright indicators are always able to draw rider's attention to the instrument cluster. 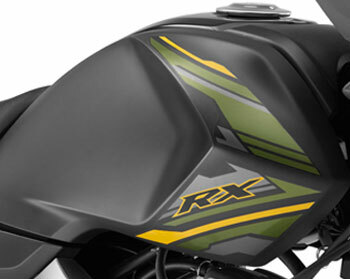 The fuel tank is enclosed by plastic resin covers on the left and right, and the section in front of the fuel tank filler cap. 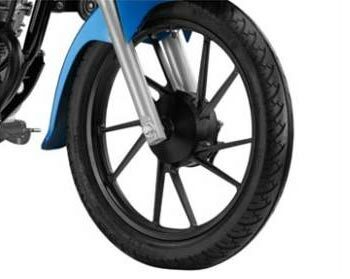 These covers made it possible to create a modern shape that would not have been feasible with parts formed from steel. 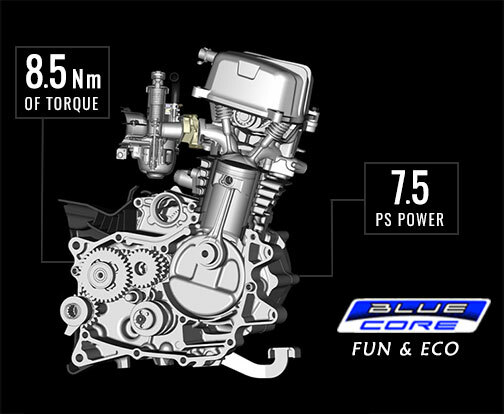 The "cutting line" that runs through the center of the left and right covers is made independent from the shape of the side covers, accentuating the presence of the engine and the 7.2-liter fuel tank.